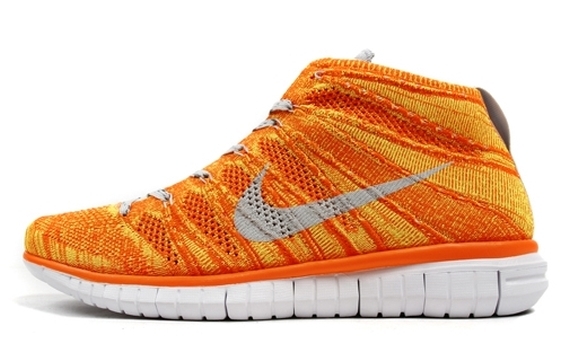 Nike's all new Free Flyknit Chukka is on its way in a vibrant orange look for the summer. The new look Free Flyknit Chukka utilizes a bright orange Flyknit upper, working together with grey Swoosh logos to match the grey laces and tongue. Subtl volt hits are also incorporated into the look, covering the sockliners and tongue branding. A white Free sole finishes them off below. 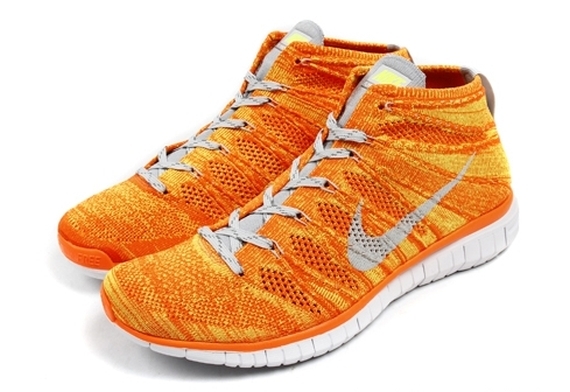 Stay tuned to Sole Collector for further details on the Orange/Volt Nike Free Flyknit Chukka.